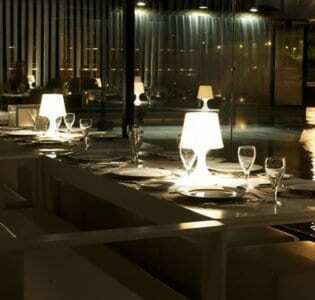 A stylish dining den and cocktail bar on the cutting edge of the Lisbon nightlife scene, Duplex Restaurante & Bar delights on multiple levels. 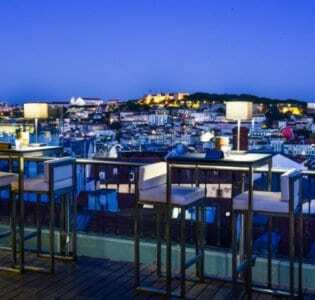 A striking venue in the heart of Lisbon, Duplex Restaurante & Bar has created a buzz ever since its opening with its special combination of cocktails and culinary delights. 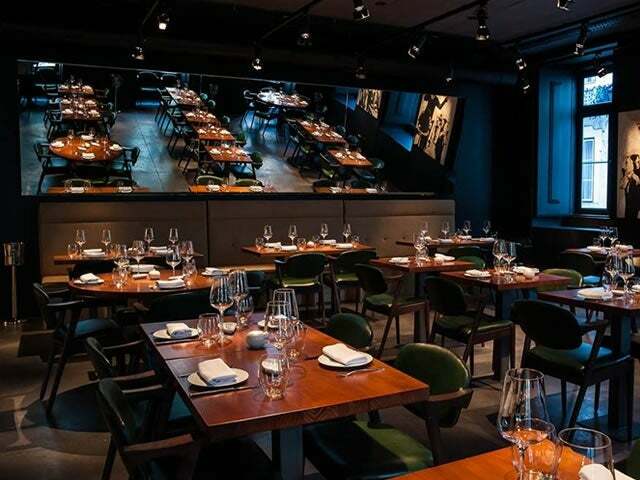 Fitting right in on the hip-and-always-happening Cor de Rosa Street, Duplex is an eating and drinking endeavour headed up by one of the most talked-about chefs in all of Portugal, and it has quickly evolved into one of the hottest spots to drink and dine in the entire city. Living up to its name, the venue is divided over two levels, with the first floor being a polished space overlooked by a breathtaking color-splashed sculpture of a street scene by artist Artur Bordalo. Upstairs, the room is anchored by a slinky mirror, provoking portraits, and French windows that put the Lisbon cityscape on full display. The food menu is full of delectable international plates, but still manages to playfully sneak in some classic Portuguese on its pages, and the cocktails (available in the dining room or the standalone bar) are up to the same high standard. A few of our favorites are the frosty Frozen Milk Shake – premium vodka, strawberry and peach – the Gin de Indias – gin, lemon juice, premium Portuguese sparkling water, clove, ginger and kaffir lime – and the warming English Port – gin, ruby port wine, red fruits, and cinnamon. Quality international spirits, liqueurs, beer, and wine are also stacked high behind the bar, all combining with the dinner menu to make Duplex a true destination for any kind of night you may have in mind.